The entire surface of the interior of the Sistine Chapel has been photographed in stunning detail in a top-secret project that will assist any and all future restorations of one of mankind’s greatest collections of Renaissance art. 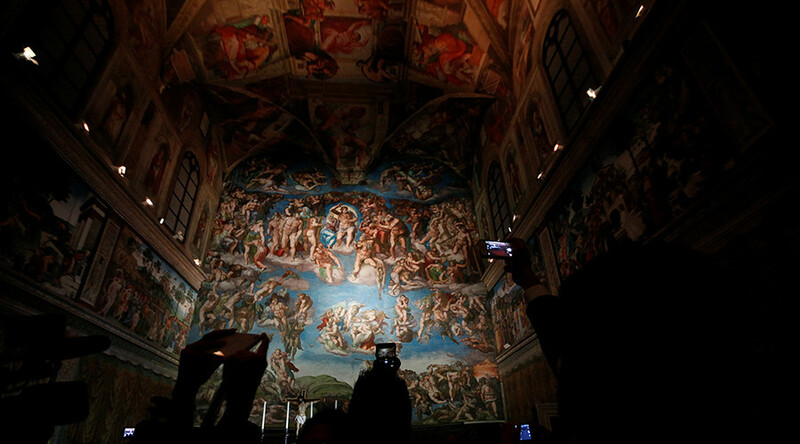 The recently completed, 5-year project has yielded 270,000 high definition digital images of the frescoes, created by a range of master artists including Michelangelo, and which adorns one of the world’s most iconic chapels. The project was only announced publicly on February 24, reports RTE. It is the first such project to document the various frescoes since 1994 when camera technology was a far cry from the ultra high definition cameras in use today. Between 1980 and 1994, the entire chapel was cleaned for the first time in centuries and documented on film. Now, however, photographers have painstakingly captured the majestic works of art on the chapel walls and ceiling like never before. Photographers used a ten-metre-high portable scaffold, special telescopic lenses and state-of-the-art post-production techniques to render the masterpieces in the highest quality possible. "We used special post-production software to get the depth, intensity, warmth and nuance of colors to an accuracy of 99.9%," said Giorgio Armaroli, head of the Scripta Maneant publishing house that assisted on the project and helped produce the amazing printed volumes which each weigh a whopping 9kgs (19lbs). Of the 870-page collection, 220 pages have been captured in 1:1 scale including the world-famous 'Creation of Adam' from the chapel’s ceiling and Jesus' face from the Last Judgment, which is located behind the altar. 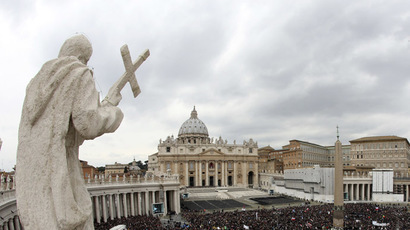 "In the future, this will allow us to know the state of every centimeter of the chapel as it is today, in 2017," said Antonio Paolucci, a world-renowned expert on the Sistine Chapel and former head of the Vatican Museums where the digital images will be stored for future restorations. The digital snapshots will be sold to libraries and collectors around the world in a limited edition of 1,999 copies available for €12,000 ($12,705) each.